Massa started his career with eight years in karts before graduating to the Formula Chevrolet championship in Brazil in 1998, winning the title the following year. A move to Europe followed in 2000 and he won the Italian Formula Renault and Eurocup series before going on to win the Euro F3000 championship in 2001 - his fourth title in three years. Riding on the momentum, Massa tested with the Sauber F1 team and was signed up for the 2002 season. His driving was erratic in his debut year and he was advised to tame his style as a Ferrari test driver the following season before returning to Sauber in 2004. Having smoothed off some of his rougher edges, he secured the services of Nicolas Todt (son of former Ferrari chief Jean Todt) as his manager, and was a regular points scorer for the Swiss squad. He was joined by Jacques Villeneuve in 2005 and, undaunted by having a former champion as a team-mate, consistently outperformed the Canadian. He got his big break in 2006 when he rejoined Ferrari, this time as a race driver. Lining up alongside Michael Schumacher, he was able to show his raw speed and on occasion managed to leave the German trailing. Despite playing the dutiful No. 2, he was able to record his first grand prix win from pole position in Turkey and finished the season third in the standings. Massa was paired Kimi Raikkonen for 2007 and made a promising start with two wins from the first four grands prix. His performances dwindled towards the end of the season, however, and he was able to win just once more. He could have been champion in 2008 but was let down by errors early in the season, both from himself and the team. He recorded his sixth win of the season in Brazil, but lost the championship to Lewis Hamilton by a single point. After being so close to championship success, 2009 was a let down. The Ferrari package was initially uncompetitive and then a freak accident in qualifying for the Hungarian Grand Prix brought an abrupt halt to his season and almost his life. Over the next three years he was comprehensively outperformed by his new team-mate Fernando Alonso and many blamed his accident for his drop in form. By the start of 2012 he was struggling for points and confidence as Alonso led the title chase, but by the end of the year he improved and even outshone the Spaniard on occasion. Despite pressure to replace him for 2013, Ferrari stuck by its man and signed Massa up for an eighth consecutive season. However, Massa couldn't reproduce the form of his earlier career and again struggled alongside Alonso in 2013. Ferrari finally ran out of patience and Massa himself announced he would not be retained by the team in 2014. He wasn't without a drive for long, though, as he completed a deal with Williams for the following year. The switch to Williams turned out to be an inspired move as the team returned to the front end of the grid with Mercedes power in the new V6 turbo era. Massa started the season slowly but took a memorable pole in Austria, although he had to wait until Monza for a popular return to the podium in front of the tifosi. His season was marred by several incidents, notably with Sergio Perez in Canada, and he was outscored by team-mate Valtteri Bottas. The 2015 season saw Williams fall behind Massa's old team Ferrari, but and he scored just two podiums in Austria and Italy. He was disqualified from his home grand prix due to a dubious tyre temperature reading ahead of the race, but fortunately it would not be his last race in front of his home crowd as he managed to secure a third season at Williams in 2016. After a strong start to the turbo-hybrid era, Williams' performance was in decline by 2016. 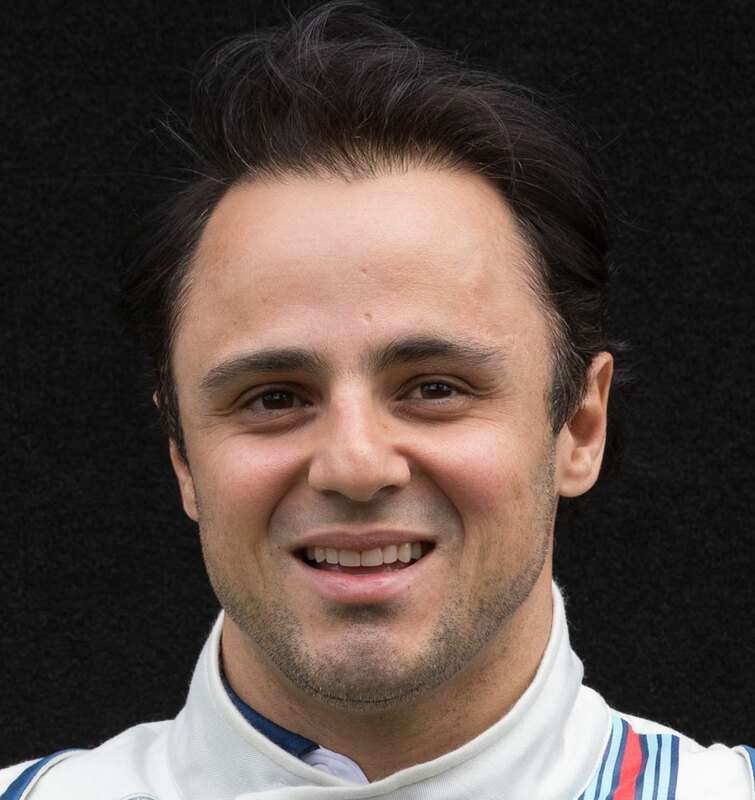 Massa was outperformed by Bottas and by the end of the year was forced to retire in order to make way for Lance Stroll, who came to the team with funding secured by his father. But when Nico Rosberg announced his decision to retire at the end of 2016, Massa was offered one more season as Bottas moved to Mercedes and Williams drafted the veteran Brazilian back into the fold. Massa outperformed Stroll over the course of the season but was again edged towards retirement at the end of the year, which he announced before his final home grand prix in Brazil. Certain circuits seem to suit Massa and on those he is all but unbeatable given a competitive car. However, he failed to recapture his brilliant best following his accident in 2009 and looked demotivated as Alonso's teammate at Ferrari. While he lost the championship to Lewis Hamilton at his home race at Interlagos in 2008, his victory and attitude in defeat characterised Massa as the gentleman of F1. Being ordered by his long-time race engineer and close friend Rob Smedley to move over and allow Fernando Alonso to win the 2010 German Grand Prix. "If my weekend begins well, I use the same underpants on Saturday. If that is also a good day, I wear them on Sunday. That is what I did in Brazil." In May 2007 Felipe's underwear sold at auction for just under US $775. It's an urban myth that Massa had his first experience of F1 aged seven when he delivered pizzas to the Brazilian Grand Prix. He clarified the truth later in his career, he was actually 17.